About Us - Pacific Lending Group Inc. 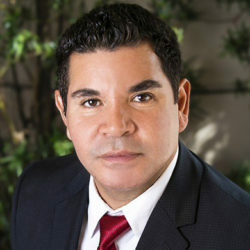 The Owner and President of Pacific Lending Group, Javier Cubas, has been a licensed Mortgage Broker since 1997. His expertise, passion and commitment to the mortgage, title, insurance and real estate industries during the past 25 years, has allowed him the opportunity to help thousands of clients achieve the “American Dream” of homeownership. Pacific Lending Group maintains an impressive A+ Better Business Bureau consumer rating and is approved with dozens of lenders. We proudly offer nearly every mortgage product available including Conventional Loans, FHA, VA, Jumbo Loans, FHA 203k and even specialized loans for those who are Self-Employed. Our knowledgeable loan originators take the guesswork out of securing a loan and give you the assurance that the result will be a perfect fit for you and your unique circumstances. Remember, buying or refinancing a home should not have to be an overwhelming or stressful experience – be assured that we will walk you through the entire process and keep you informed every step of the way as we move towards securing your loan. We look forward to assisting you! Contact us to get pre-qualified today! Complete our secure online mortgage application in a few minutes. Talk to one of our qualified mortgage experts for your best options. Get approved in as little as 24-48 hours. Fast, easy and reliable!